Serving Pensacola for over 25 Years! Questions? Call Us +1 (850) 941-4010. 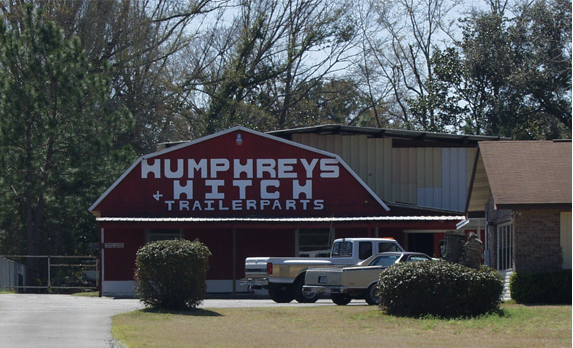 Dexter 7 X 1 1/4"
Humphreys Hitch and Trailer Parts has been serving customers in Pensacola, Florida for over 25 years with our Service Center, Parts, Hitches, Tow Bar Divisions. Humphreys complete service center can install all parts offered as well as service all of your towing needs. Humphreys Trailer Parts Division carries a complete line of parts including Redneck trailer parts, Dexter axles and Kodiak brakes to service all required trailer repairs. Humphreys Hitch Division meets all trailer towing needs from a small to large trailers with Curt receiver, gooseneck and 5th wheel hitches and all the accessories required for towing ease and safety. Service and installation are available for all hitches and towing accessories in Humphreys Service Center. Humphreys Tow Bar Division features Roadmaster tow bars and accessories with a complete line of vehicle specific mounting brackets for most vehicles and RV towing and components for safe vehicle towing. Also available is a complete Drive line shop for your drive shaft and PTO needs, handling everything from the cars to the 18 wheel big rigs. Visa, Master Card, Discover and American Express are accepted. No COD's.